Humans are consuming food and fuel in ever-increasing quantities and, as the world turns to plant sources to find non-fossil energy sources, more and more of the elements necessary to support plant life are disappearing. “The world is running out of phosphorus at an alarming rate,” notes Smith, “and we need phosphorus to grow crops.” It’s not just phosphorus, either: water, energy and micronutrients such as copper and zinc—all are crucial to agriculture, all are increasingly scarce. Biofuels were once thought of as a can’t-miss replacement for oil and other non-renewable energy sources. But many types of biofuels, such as those produced from palm oil in Indonesia, divert potential food materials away from the food stream. The grain required to fill a large car’s gas tank with ethanol, for example, could feed one per son for a year. In short, if a harvest is feeding engines, it’s not feeding people. How should the world’s limited growing resources be used, then? Food or fuel? Factoring in global warming—although many trees and plants “eat” carbon dioxide, the production of some biofuels can actually increase the load of greenhouse gases—only further complicates the matter. The solution to these problems is discovering how to make biofuels that are carbon neutral and don’t compromise an increasingly scarce food supply. That’s a key goal for the Green Crop Network (GCN), a countrywide research initiative spearheaded by Don Smith. Smith, research assistant Magali Merkx-Jacques and network manager Xiaomin Zhou are part of a team of 50 scientists and more than 70 graduate students from 14 Canadian universities (see sidebar on page 15). 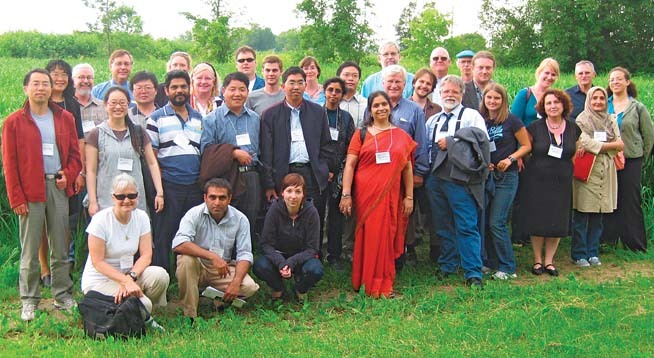 Researchers from Agriculture and AgriFood Canada also collaborate with the network. ■ Enhancing carbon sequestration in soil. ■ Optimizing yields and performance of crops in carbondioxide-rich conditions. ■ Developing new crops that expend less fossil fuel in extracting biofuels, thus reducing greenhouse gas emissions. During the July 2009 Green Crop Network Workshop, researchers visited Quebec’s first switchgrass farm, in Valleyfield. Marginal farmlands can successfully produce large switchgrass crops, making the plant potentially visible as a biofuel source. That philosophy has already led to some promising non- traditional collaborations. Joann K. Whalen, professor in McGill’s Department of Natural Resource Sciences, leads one of the GCN’s carbon sequestration projects. Whalen and her team of soil experts are working to transform plant residue into a stable carbon source in the soil, so that carbon dioxide can be removed from the air and sequestered in the soil. Such plants could potentially help farmers produce more carbon neutral biofuels. Ellis explores ways to adjust the metabolic pathways of plants to change the types of compounds they produce. Through the GCN, he’s now sharing those findings with Whalen, who analyzes what happens when those modified plants go into the soil. “I provide Joann with a whole array of genotypes—not only the gene lines that we create at UBC, but the gene lines of other researchers around the world—so she can see how they behave in the soil breakdown,” says Ellis. The Green Crop Network isn’t just looking for solutions within Canada’s borders, either. Smith thinks we have much to learn from India’s exotic plants, such as pongamia, which produces seeds with reasonably high levels of biodiesel-suitable oil. And because it is a legume, pongamia does not require any greenhouse-gas-producing nitrogen fertilizer. Funding international partnerships, however, is tricky. Smith is hopeful that some early successes, such as a recent China-Canada-California collaboration meeting in Shanghai, are convincing governments of the concrete benefits of international research cooperation. “Things are taking shape quickly,” notes Smith, thanks in part to GCN manager Xiaomin Zhou, who is building strong contacts in China. Although soybean (a potential biodiesel crop) has long been domesticated in China, the country never developed the commercial technology necessary to inoculate the crop with micro-organisms that increase its ability to remove nitrogen from the air. 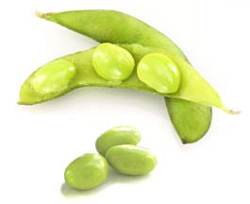 Smith is working on a proposal to use Quebec-developed soy bean germplasm and B. japonicum strains to improve Chinese soybean production. Smith is also eager to deepen collaborations with Brazilian researchers. “Brazil produces half of its fluid fuel requirements on just one per cent of their agricultural land,” he raves. “It’s amazing.” Smith and one of his graduate students, Keomany Kerr, have visited Brazil’s Embrapa, a public-private research organization employing 13,000 people, including 2,600 researchers, and they are now working toward a fully developed international biofuels collaboration. The Green Crops Network receives funding from the Natural Sciences and Engineering Research Council of Canada. 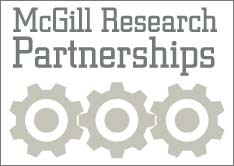 Additional funding comes from the McGill Network for Innovation in Biofuels and Bioproducts.